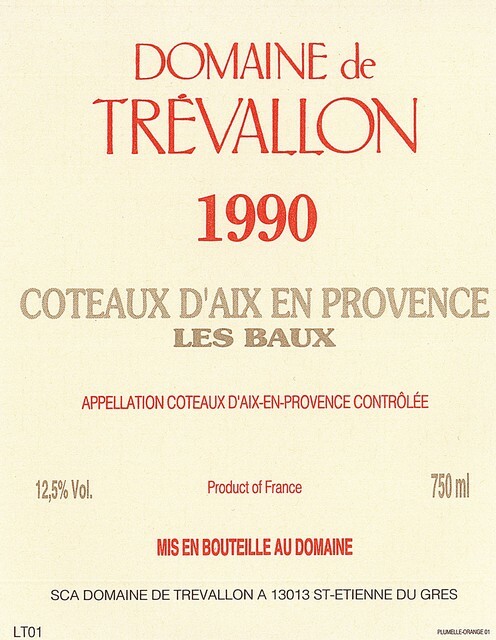 One of the greatest vintages at Trévallon ! November 2007: November tasting in South Africa by Remington Norman. Lovely colour. Aromas of spice and chocolate on the nose. Firm and complex on the palate with silky tannins with good length in the mouth. Concentrated and young. The best wine of the tasting? April 2005: The wine is at the start of its development. In my opinion wait 3-4 years before drinking. It will still evolve over the next 12-15 years.